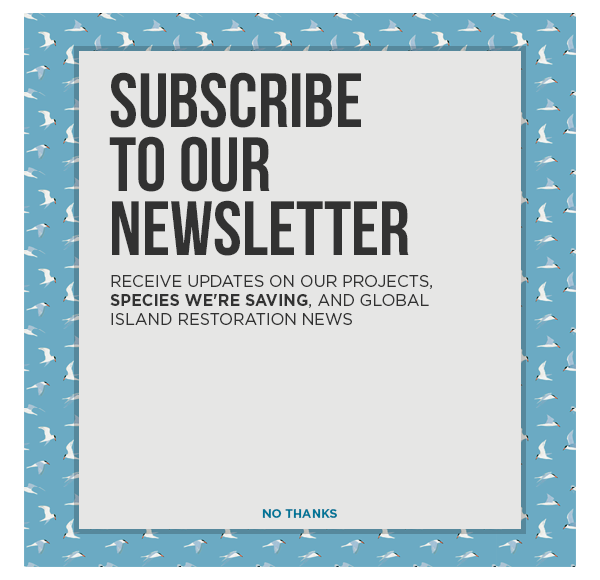 In 2013, we began working to protect the Critically Endangered Ricord’s Iguana and Vulnerable Rhinoceros Iguana by restoring Cabritos Island, Dominican Republic. By removing their primary threat—invasive species—we are providing safe habitat so these iguanas may once again thrive on their island home. Over the years, we’ve made significant progress, but, in 2015, we needed YOU to help us get to the home stretch. We put out a call for support and you answered—THANK YOU! We are proud to announce that we exceeded our goal of raising $22,000 for this important project. We hope you enjoy this short video we made to thank you for your support. We are inspired by your commitment to save species from extinction! Bill was selected as executive director of Island Conservation in July 2008. Prior to joining Island Conservation, Bill had a thirty-year career as a nonprofit leader, including twenty-three years with The Nature Conservancy.